Deutsch Ende 18. Jh. Kastanienrot-weißer Marmor. 3-tlg. Runde, gestufte Basis, zylindrischer Schaft mit profiliertem Kapitell. Altersbedingter, originaler Zustand. Stand best. H. 116, D. 37 cm. 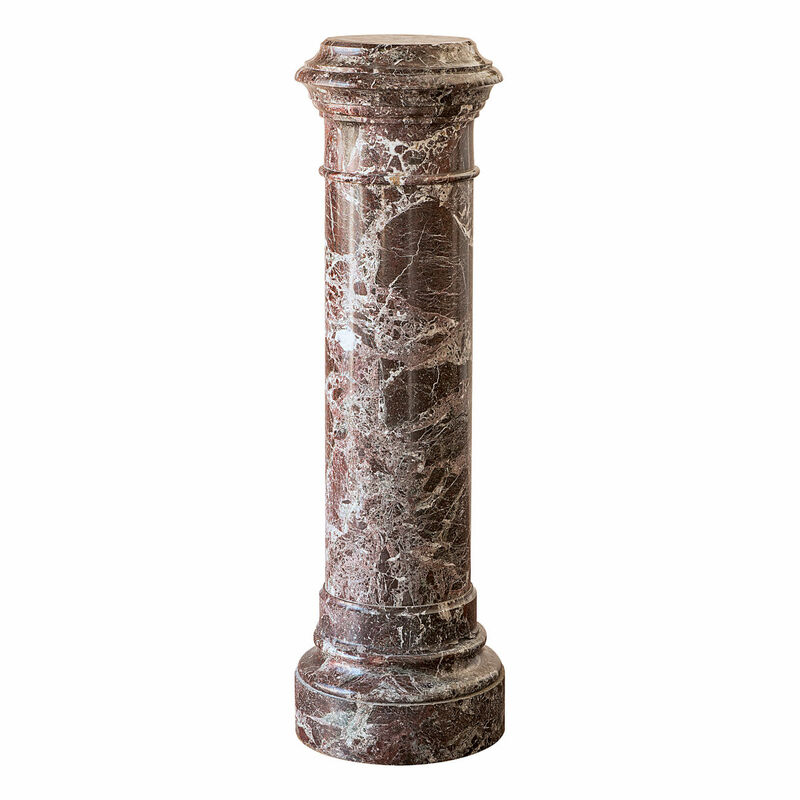 Court marble column. Germany late 18th C. Maroon white marble. Three pieces. 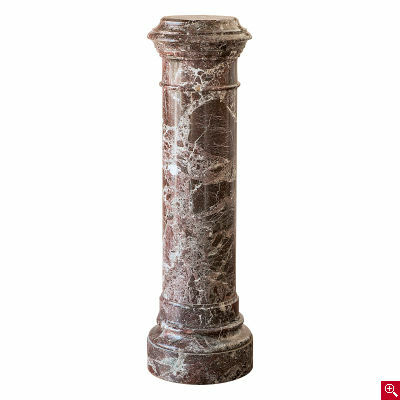 Round stepped base, cylindrical shaft with profiled capital. Age-related original condition. Base chipped. H 116, Diam. 37 cm.